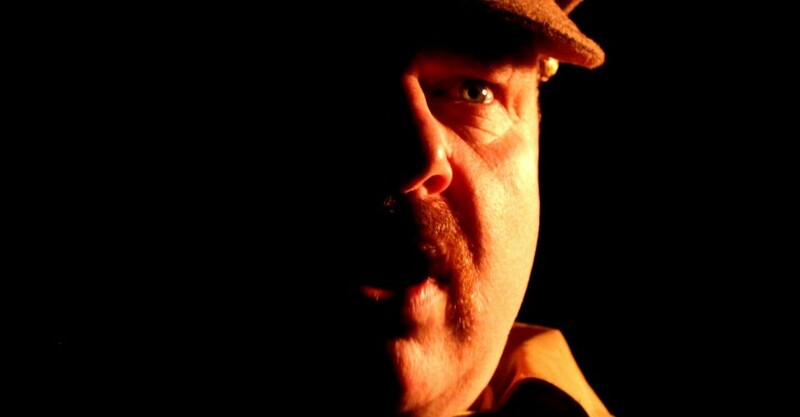 Studio at Bakehouse Theatre, Mon 19 Feb.
Writer/performer Ross Ericson felt the need to write this play to redress some misconceptions about the First World War. It was not so much a noble struggle of honour and courage as much as it was a brutal assault on what it means to be human. In reality many of the fighting men and women did not know why they were there in the mud of France. Implicit in the idea of ‘the unknown soldier’ is that it was the common soldiers on the front line who were the real heroes, not the politicians and generals who sent them there. 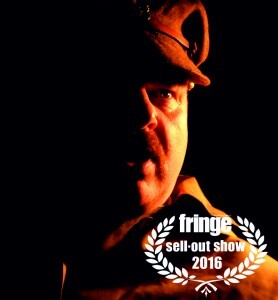 In this one act play a soldier lingers on the battlefields of France applying himself to the gruesome task of clearing the fields of left over body parts once the fighting is over. Inevitably his mind drifts back to his mates-in-arms as he shares snippets of his daily life in the trenches, often with glib throw away lines that disguise the torment and horror. At other times he struggles with the emotion stirred by the telling of his war tales. The message is loud and clear – in times of war ordinary people get to see and experience extraordinary brutality. And occasionally the effort required to keep a lid on repressed emotions is just too much to bear and they can explode with memories of the violence and the fear. Ericson’s performance as the soldier who remembers is strong, consistent, and authentic. Humour is used to try and mask the unthinkable, and in this context is very British and a little twee, but this is the ordinary solder from humble origins trying to cope with a haunting past, not a professional comedian trying to make us laugh. It’s an uncomfortable humour that, understandably, is attempting to soften the truth. Book at FringeTIX on 1300 621 255 or adelaidefringe.com.au Click HERE to purchase your tickets. The real story of daily life in the trenches.